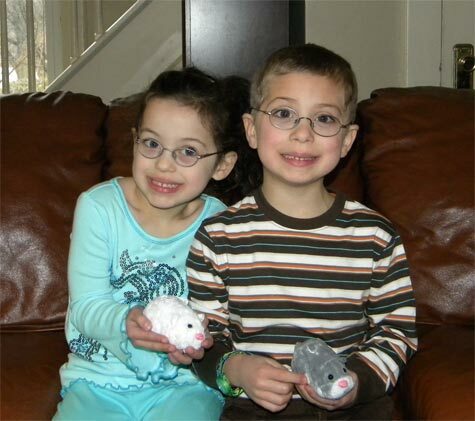 Peter and Angela turn six today! We were not originally supposed to have all three children's birthdays in the same week, but the twins had other plans. Instead of being born in May, they came 10 weeks early and spent months in the NICU. It is certainly not an experience I would ever wish on anybody but you'd have to agree they're well worth it all. Angela is fiery, dramatic, mercurial, angelic. She makes Sophie look calm. Angela is the one who goes through 5 outfits in a day, some of them bathing suits, some involving complicated scarves, or requiring face paint. She would probably be happiest if she could wear nothing at all and takes off her socks the instant she doesn't need to wear them anymore. She's the girl who sings into the microphone, who gets up and dances, and who I am pretty sure is going to end up on a stage one day. She is the girly-girl in our house. The other night my mom and dad brought her a shirt that had a pony on it, in sequins, and you have never heard such gushing. "OH! How I love it! It's so sparkly! I'll wear it on my birthday with this scarf! OH! How did you KNOW I would LOVE THIS SO MUCH!" She's turning into a great reader, and just yesterday learned to tie a bow. (We're going to demonstrate to the class tomorrow.) And she really enjoys drawing faces and tries so hard to get in lots of detail. I'm rather impressed with her artwork and I love that she does her own thing - her sister and brother don't draw like her at all! And she writes me notes - when she's sorry for something she's done, or just because. I cherish them. Peter is adorable. He has just taught himself to whistle and spends every spare moment practicing it. He has a very good sense of rhythm for such a little boy and is always tapping out the beat, pretending to drum, or trying to beatbox. And that's when there's not even any music on! He loves a cappella music, especially the Bobs. My favorite Peter thing is how he dances when he thinks nobody is paying attention - he has soul, this kid. I'll put on Stevie Wonder, or maybe some 80's music with a loud electronic beat and then occupy myself with some task so the attention's not on Peter (but I watch him out of the corner of my eye). Then the shoulders start shaking and the hips are next and then he's into some cool spin or dance steps. I just love it. He's such a foodie - loves to eat, loves to try new things, and even had my dad's pasta con sarde and asked for seconds. He's also turning out to be quite good at art - the more meticulous, the better! He loves to copy pictures of machinery or draw complicated landscapes. I also call Peter "Eddie Haskell" - he is so incredibly complimentary that sometimes it's just funny. I predict that Peter is going to have the phone ringing off the hook when he hits puberty. Peter and Angela, my favorite surprises. I love you with all of my heart and I'm so proud of you. You make our family complete.